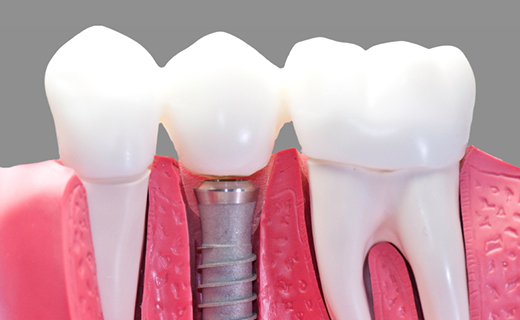 Dental implants are among the most successful surgeries performed. The advent of dental implants dates back more than 20 years with data reports showing that even the earliest implants of most patients are intact and functioning at peak performance. With proper care, dental implants are not only the most natural-looking option for replacing missing teeth, they can also last a lifetime—making the dental implants cost a worthy investment in your oral health and appearance. However, to determine if dental implants are the best solution for your dental care, you will need to understand what factors impact the procedure and outcomes, as well as pre and post care and recovery. There are a variety of reasons that dental implants may be the most suitable option for you. Whether you have experienced tooth loss due to an accident or disease, dental implants can be an effective solution. Ideal candidates for dental implants are in good physical health and also have generally good oral health. Certain medications and chronic disease may inhibit the long-term success of the procedure. It is important to consider all your options, including dental implants cost, and discuss what will work best for your particular situation with your dental care professional in Peoria.